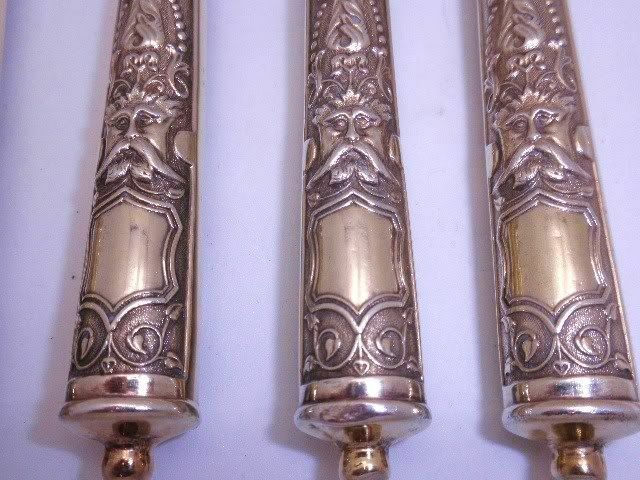 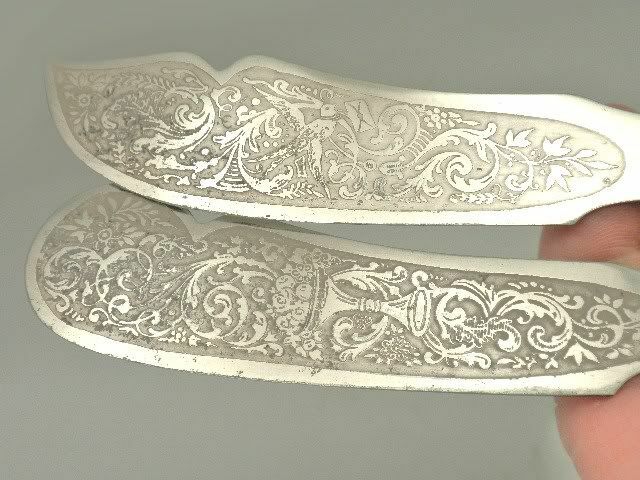 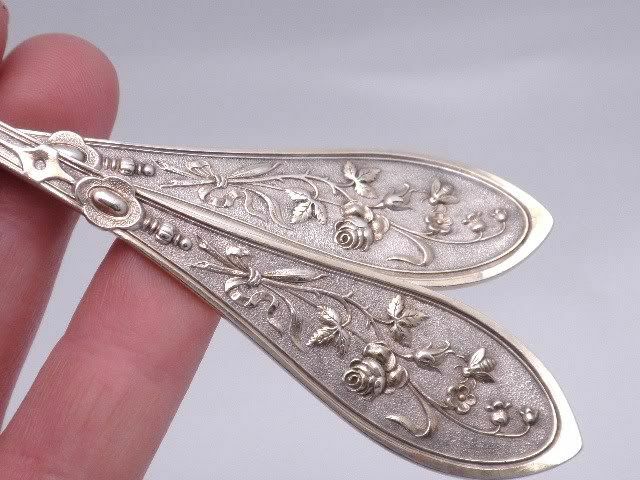 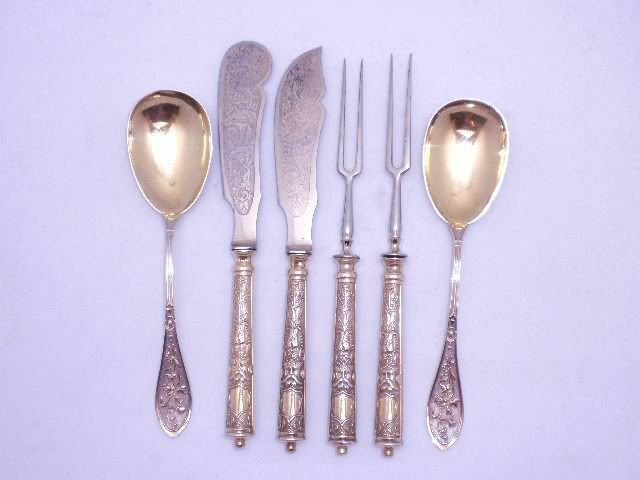 Antique French vermeil silver hors`derves suite. 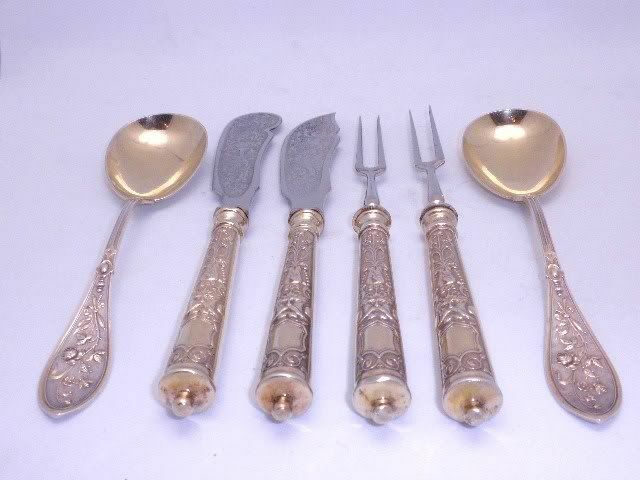 The flatware suite consists of six pieces, two bowl spoons, two meat squewers or forks and two knives. 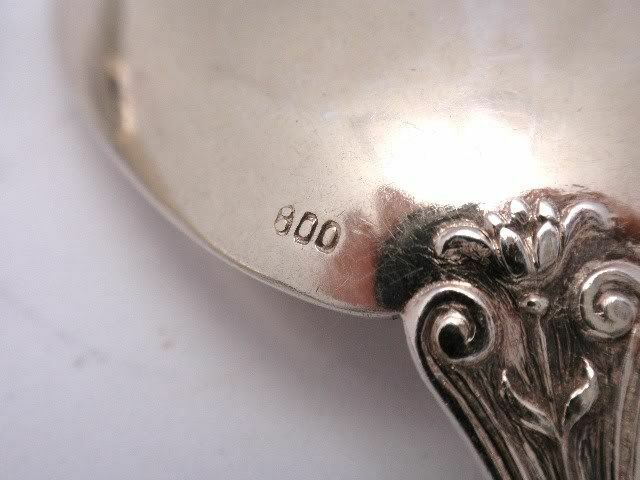 Each piece is clearly marked 800 and is gold washed. 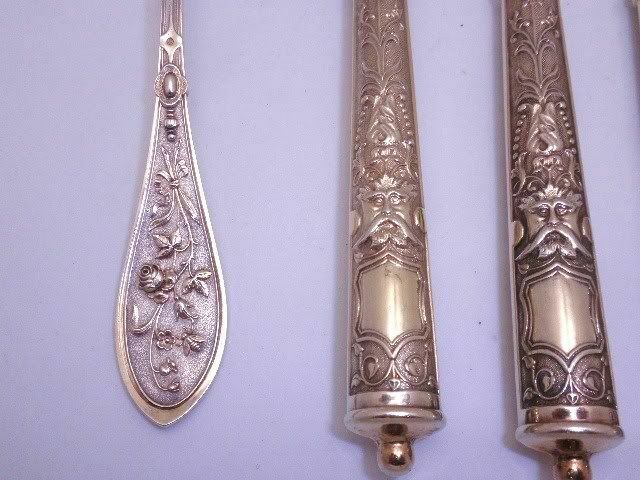 The suite is in excellent condition with no dents or dings and solid construction. 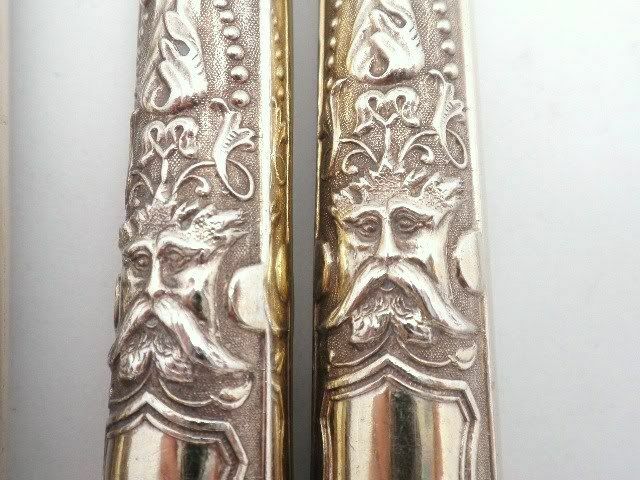 One collet is slightly raised from the blade. 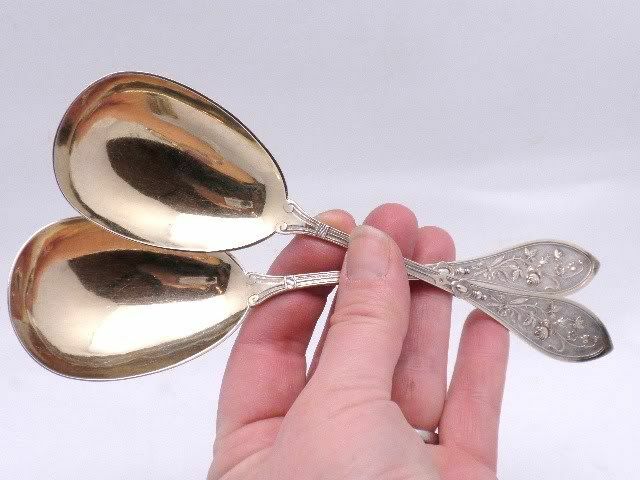 The spoons measure 17.5 /17.6 dwts and are 7" long and 9/16ths wide at the bowl. 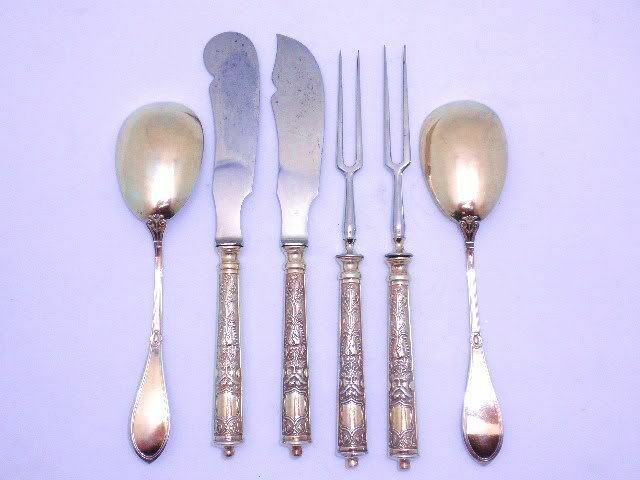 The knives and forks are 8 1/4" long. 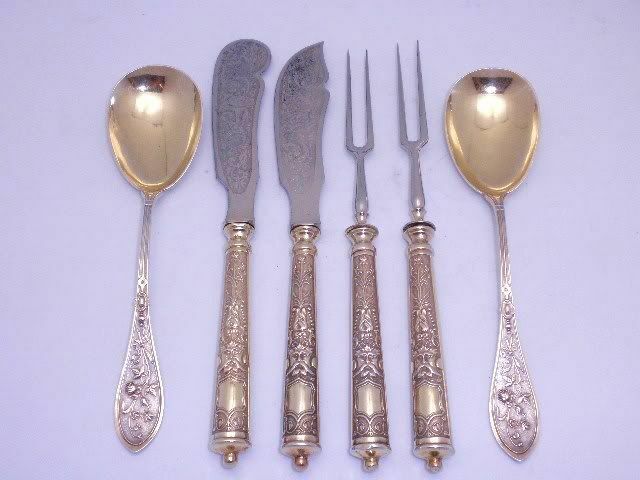 We date the pieces to 1880-1900.